What brought you to New Paltz? I have a number of relatives who went here. My dad told me to look into it, and I ended up coming for an open house. I was impressed with the school from day one. The people I met made it an easy decision. The thing that struck me was the friendliness and the diversity. These were people I’d just met, but it felt like I already knew them. Just to feel welcome, and like I belonged, meant a lot to me. I experienced the same thing as a business major – the dean (Hadi Salavitabar) knew the students on a first-name basis. After I graduated, I became an appraisal consultant for an insurance company. Then I came back to New Paltz as a resident director and to pursue my master’s in business. My first job after completing my MBA was being an Educational Opportunity Program advisor here, as well as a supervisor for their peer mentor program. I really enjoyed that position, and I still have strong ties with that department. I do presentations for them sometimes, and as a result, I get to know a lot of the EOP students here. I did that for almost three years, transitioned to coordinator of the MBA program, and now I’m the director. 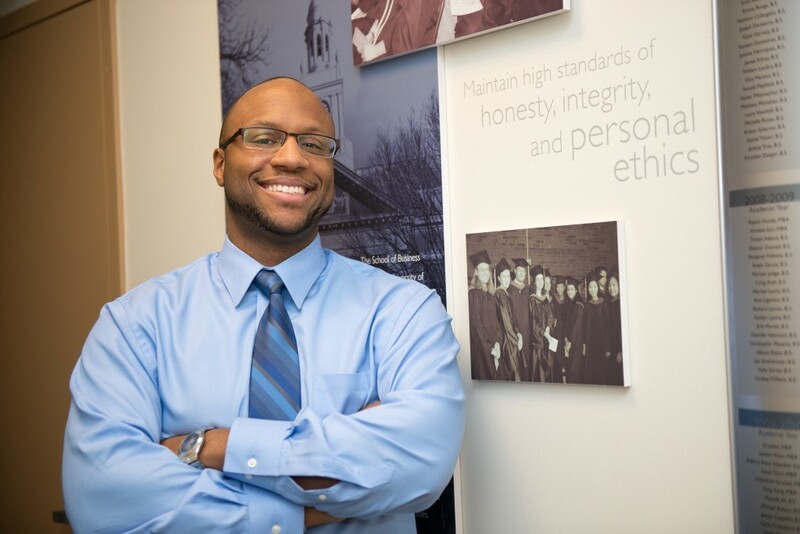 When I was an undergraduate student, I never thought I’d become a professional employee at New Paltz, but I thank God for the many rewarding experiences that I’ve had while working here. Which faculty members made an impact on you when you were a student here? As an undergrad, I had Professor Kristin Backhaus, who is now the dean of the School of Business. I had a really strong connection with her, as well as Professor Joel Neuman, Professor Chih-Yang Tsai, Professor Jae Lee, and Professor Ted Clark. I had most of them again in the MBA program, along with Professor Kim Lukaszewski, who is no longer here, and Professor Surinder Tikoo. It’s great to now have them as colleagues. What lessons did you learn as a student that you now utilize in your professional life? The four main areas of the principles of management – a course I needed to take as a management major, and funny enough, I now teach it as an adjunct – are planning, leading, organizing, and control. The planning and leading are implemented a lot in what I do on a day-to-day basis. I have to do a lot of planning ahead. I lead projects, supervise some of our student workers here, and wear a lot of hats. I always have to be on top of different things that sometimes involve strategizing, regarding recruitment and retention of our MBA students. I find myself using my interpersonal skills often – the ability to effectively communicate with people, knowing each individual has different needs, and being adaptable and flexible with different groups of students I work with. That was something I was taught a lot in my studies at New Paltz, and something I have to implement often. I love interacting with current and prospective students, and being able to see a student from the application process, to their acceptance into the program, to the day they graduate. I enjoy being able to assist students, knowing I’ve been down the same path. I know the rigors of the program, so I’m able to relate to what they’re going through. 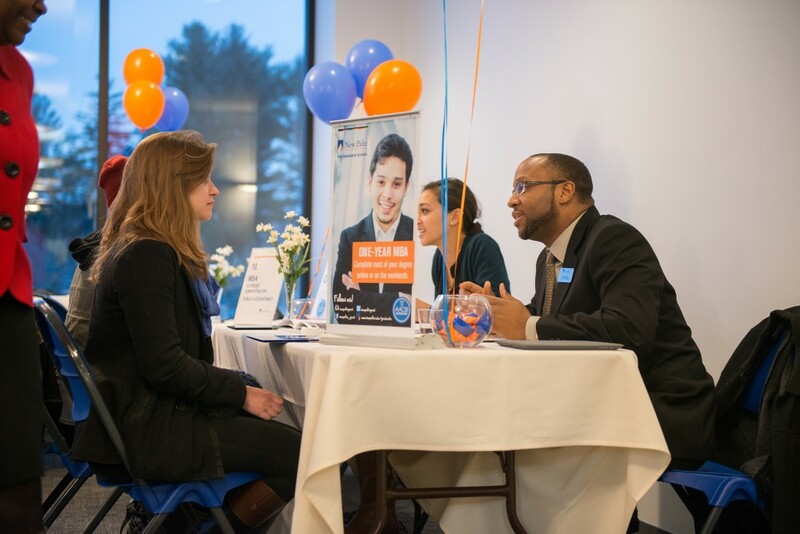 I get to go to a number of the area’s local colleges, SUNY colleges throughout the state, as well as companies, to recruit. Being able to talk to prospective students and tell them about the opportunities that are here, and be transparent about my experience in the program as a whole, is enjoyable. We host info sessions on campus for prospective students, and the turnout has been good – we yield students from them. I like playing sports and exercising. Basketball, racquetball, bike riding, outdoor sports – anything athletic. I enjoy spending time with my family and friends. I take advantage of the eateries here in town. When the weather is nice, I like to get up to Minnewaska. I like the Mid-Hudson Valley as a whole. It’s not so congested, it’s peaceful, and the summers are beautiful. I love biking the Hudson Valley Rail Trail, which goes over the Walkway Over the Hudson. It’s very relaxing. 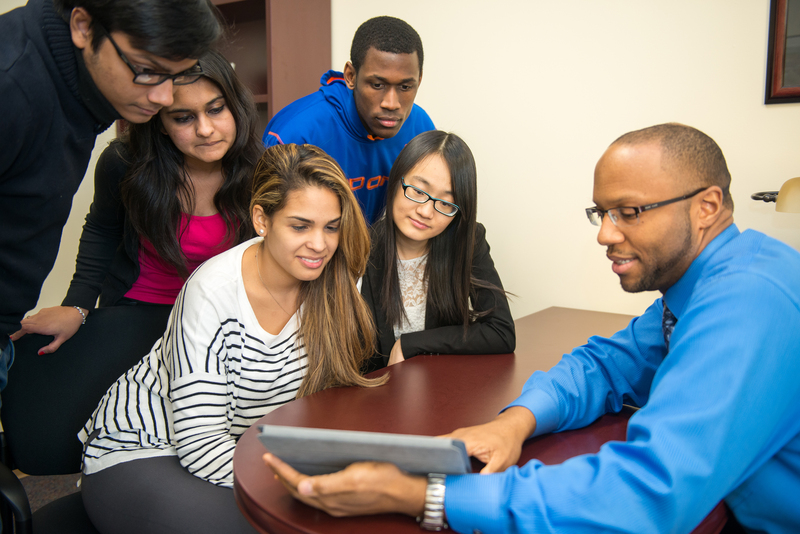 What kind of careers does the School of Business prepare students for? Our accounting students are prepared for all sorts of positions. We’ve had students go on to work for companies like PricewaterhouseCoopers and Ernst & Young. We have a big pull with Target’s human resources department. We have alumni at Central Hudson (the largest utility company in the area), at investment firms, marketing firms – the list goes on, and it continues to expand. Our MBA students have gotten a lot of attention. Some students are already working with a company, and the doors open for promotions when they earn their MBAs. We have students who, in their final semester, will start the MBA program with a job already waiting for them when they finish the degree. The School of Business recently earned its AACSB International Accreditation. What does this mean for students? It means you go to a school that’s considered to be, in terms of quality and education, in the top 5 percent of all business schools worldwide. Some of the high-priced private schools don’t have AACSB accreditation. 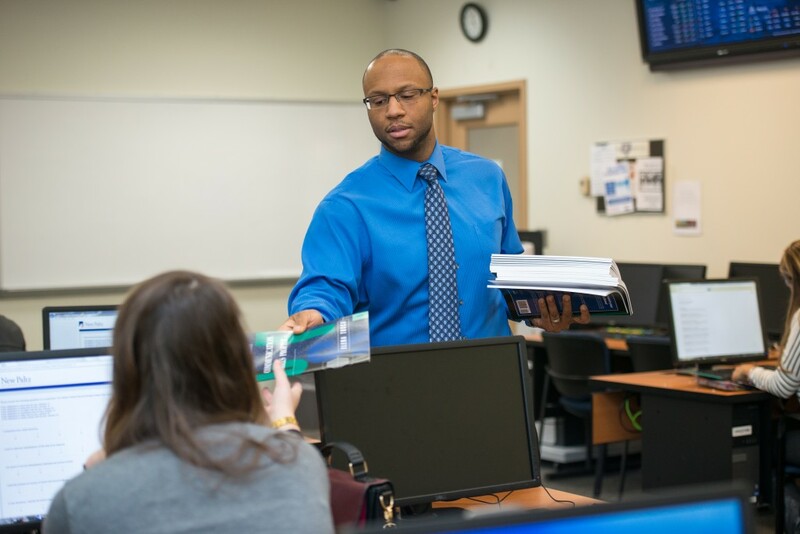 Coming to an AACSB-accredited institution ensures that you’re going to get a degree that’s recognized in the field, and one that’s going to best prepare you for the workforce. It means you’re going to get an above-average education. 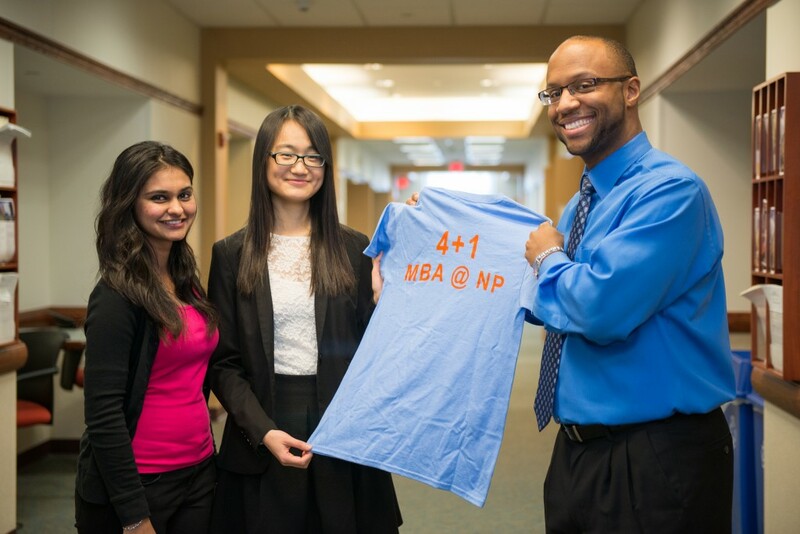 Why should a business student take advantage of the 4+1 program? For one, the economic advantage of getting an MBA in a year. And even more so, the marketplace advantage of entering the workforce with an MBA already under your belt. It’s a major benefit to our students. We’ve had fluctuations in the economy where it hasn’t been so easy to find a job. I’ve always told students that, if I were in their shoes, I’d rather be working on another degree than taking six months to a year to find a job. I’ve spoken to adult students who wish they’d done this years earlier.